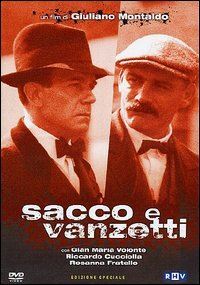 Italiensk Kulturforening i Stavanger - Filmkveld"Sacco e Vanzetti"
"Sacco and Vanzetti" tells the story of Nicola Sacco and Bartolomeo Vanzetti, two Italian immigrant anarchists who were accused of a murder in 1920, and executed in Boston in 1927 after a notoriously prejudiced trial. It is the first major documentary film about this landmark story. The ordeal of Sacco and Vanzetti came to symbolize the bigotry and intolerance directed at immigrants and dissenters in America, and millions of people in the United States and around the world protested on their behalf. Nearly 80 years later, the story continues to have great resonance, as America once again grapples with issues of civil liberties and the rights of immigrants. The film's music was written by the Academy Award winning Ennio Morricone.